Bratzillaz Vampelina is famous for all the the vampire-witch. She can see at night and she has a bright white teeth, by which she strikes fear into their enemies. Besides that she has bright yellow eyes. But you can change this in this dressing up game as you want! The game is played with mouse. Drag the new clothes and decorations on Vampelina and see what you get. Played: 39024. Added: 16-06-2013, 08:26. 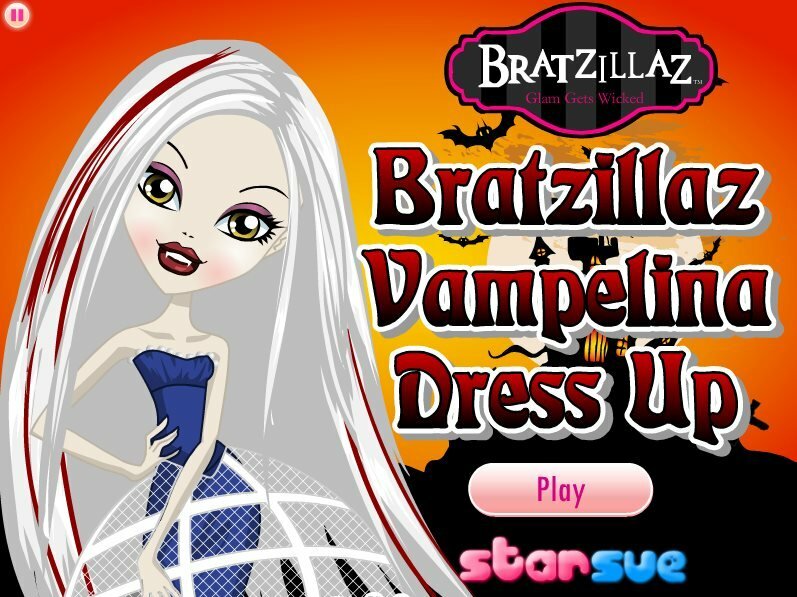 Bratzillaz Vampelina dress up game. Choose a new dress for Vampelina.